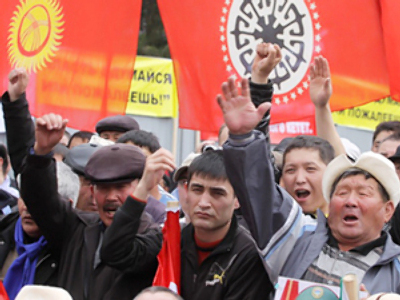 As Kyrgyzstan mourns the 190 victims of ethnic clashes in the south of the country, the UN and the interim government point to evidence the troubles were orchestrated and the actual number of killed may be a lot higher. A three-day mourning period has been announced in the country, as the situation in the cities of Osh and Jalal-Abad is stabilizing – compared to the violence that was widespread on their streets just recently. 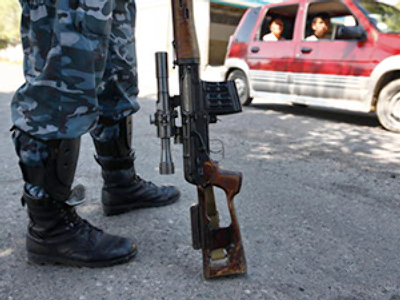 Yesterday evening, the police in Osh reported the city is under its full control. Still, some gunfire was heard overnight. Now police see their main task as taking the guns off the streets. During the recent rioting and looting a great deal of weapons were taken from local police stations and gun stores were ravaged. 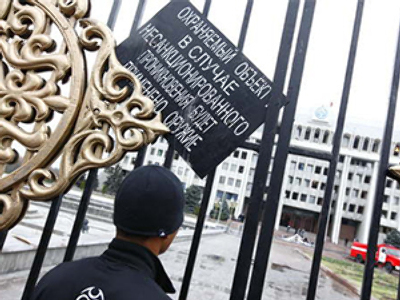 Hundreds of hunting rifles and police Kalashnikov rifles turned up on the streets. The police are holding an amnesty, saying anyone who returns these weapons in a prompt manner will not face prosecution for having possessed them. Getting weapons off the streets will help peace come to those streets later on. Approximately 200,000 people have left the conflict zone. 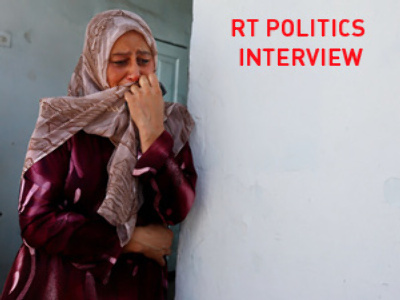 However, the international Committee of the Red Cross has expressed concerns about the conditions of the refugees. “We are in touch with a mosque in Osh where 6000 people are hiding, according to one volunteer doctor. Almost half of them are children, and they all are trying to survive off of food given by one local farmer,” the ICRC’s deputy head of mission in Kyrgyzstan is quoted as saying in a press release. "In addition to food, they say they need insulin, IV fluids, syringes, antibiotics, soap and wound dressings as they are dealing with many burn victims," she added. A meeting between the leaders of both Kyrgyz and Uzbek communities in Osh has been scheduled, with the main topic of the talks to be access to fuel depots, as gasoline is in very short supply. The result is likely to be an agreement to share the gasoline evenly. The acting mayor of Osh called the talks “very hard and nervous”.“All these meetings bring no results, we can’t start the discussion,” he added. He also said that “probably hundreds of millions of dollars will be needed on recovering”. He said that humanitarian aid sent by international communities “is not enough”. “People are starving. Their own supplies are running low,” he stressed. International aid is continuing to come into the country. The humanitarian situation is desperate in the south of Kyrgyzstan. There is a shortage of food, so the military is setting up food distribution points throughout the region. The UN is setting a humanitarian corridor from Bishkek by air. The Red Cross and Russian NGOs are also working there. Three Russian planes have been sent to Bishkek on Wednesday, but their cargo still has to be safely transferred to Osh, where supplies are needed the most. Meanwhile, representatives of the world human rights organizations will investigate the events in the cities of Osh and Jalal-Abad. Particularly, the representatives of Human Rights Watch, Amnesty International and others, who were looking into conflicts in the former Yugoslavia, Georgia and Chechnya, are planning to collect all the documents needed and to question witnesses about the clashes in the south of the country. The stories of personal friendship between the Kyrgyz and Uzbeks, living peacefully side by side for centuries, make the Kyrgyz violence seem even more terrifying. Born and raised in southern Kyrgyzstan, Barno Zharoeva, an ethnic Uzbek, and Cholpan Orozova, a Kyrgyz, have known each other since kindergarten. The two women brush off questions about the length of their friendship as if they were about their age. Years have past, their hairstyles and husbands have changed but they have always been there for each other. “We are like sisters. No, we are even closer. In Islam, there is a notion of a friend so close she can take your sins upon herself to stand before Allah. That's how close we are,” explains Barno. Friends for most of their lives, Barno and Cholpan have also started a small business together, trading in medicine. Ironically, at present there is no place in Kyrgyzstan that needs their supplies more desperately than their home city of Osh, where people who used to go to the same school are now killing each other on the streets. The two friends remember their home city of Osh as an example of inter-ethnic tolerance. It is this nostalgia and home-sickness that make them all the more terrified of going home. Osh today is a place where the shape of the eyes and face can be reason enough for execution. While the brutality of riots came as a shock, analysts had long warned the Fergana Valley, where Osh is located, was a potential tinder box. The nonsensical borders drawn by Joseph Stalin in the 1920s left patches of Uzbek territory cutting through Kyrgyz land. “When they decided to draw the border between Kyrgyzstan and Uzbekistan, it turned out that the Kyrgyz did not have their cities as they are nomads traditionally and have never lived in cities. Therefore, it was decided to hand over one of the cities inhabited by the Uzbeks to Kyrgyzstan to help develop Kyrgyzstan. As a result, the large Uzbek community living both in Osh and Jalal-Abad appeared to be part of another state. That’s where discrepancies and political contradictions between the Uzbek and the Kyrgyz nations come from”, explains Sergey Abashin, from the Institute of anthropology and ethnography. The fertile soil of the Fergana Valley has bred conflicts in the past. Twenty years ago the region saw its first ethnic riots over land, which almost cost Cholpan her life. “We saw crowds ahead of us. One of the crowds was made of Uzbeks, the other of Kyrgyz. They attacked our bus. There was an Uzbek woman there about my age now with a baby. I was a schoolgirl at the time. She hid me under her seat and covered me up with her long dress. All the others in the bus were killed. I saw it all happen. I was covered in blood,” remembers Cholpan. She says that horrifying experience didn't make her scared of her home town – something she bitterly regrets now. The two friends have sent their children to Osh for holidays and still do not know how to get them back.